If the persistence of physical genetic memory is trusted, as it is among many families whose identified lineage spans over two hundred years, Vard the ax man may have been described as taller than most, sandy-haired, with a healthy appetite, at times given to excess. Vard was a congenial sort, relying unusually more on his emotion than intelligence to communicate. Vard’s energy rarely flagged. Widely admired as being indefatigable Vard always remained intensely focused. There was something elusive and unidentifiable about Vard, too. Johannes Vardeman possessed a certain quietude and reserve. Daniel Boone could well believe Vardeman would expedite shorthand measures with an ax, to produce faster and more efficient results like no other. Retaining the service of Vardeman and his ax in the late spring of 1775 was a good deal for Boone. 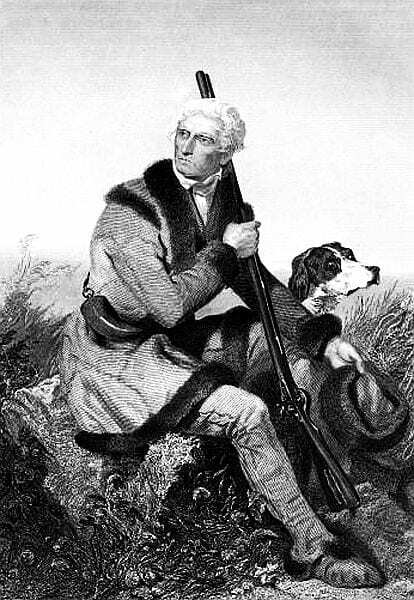 While Daniel Boone culled his family for the acumen and fortitude required to forge his Transylvania Trail through the frontier of Virginia’s Western District of Kentucky, Boone principally was seeking reliable names and familiar family faces, people he could trust to remain afterward to build a permanent settlement at the terminus of his new road. With the skills of Johannes Vardeman and those friends and family, Boone already knew, Boone could hedge his bet to bring even a larger number of families, more than he first had planned to bring to his Transylvania Colony’s new settlement. The family of Johannes Vardeman had been building and maintaining wilderness roads since the 1740s. Locals in Virginia already referred to the mountain road from Thomas Jefferson’s to Charles Quarles’ place as “Verdeman’s Mountain Road.” Vard’s father, William Vardeman Sr., was among several petitioners in Bedford County, Virginia, who requested a road be cut to connect the neighboring petitioners. On July 15, 1740, the order was issued “to Clear a Road from the Thorrowfare a little above Morrisons to the Secretarys ford.” On Sept. 25, 1741, orders granted an extension, “to Clear a road from Thomas Morrisons to the D.S. tree in Michael Woods road.” These early roads that traversed the Blue Ridge, that were built by the Vardeman family, was all the evidence Boone needed to know that Johannes Vardeman was the right ax man to cut his Transylvania Trail. Johannes Vardeman was the third generation of his family in America. His grandfather, also named Johannes, settled on Appoquinimy Creek in Delaware County, Maryland. Over time, his grandfather acquired a sizable estate of over 450 acres which he left to his four children, Johannes Jr., Christopher, Jane Margaretha, and Vard’s father, William. 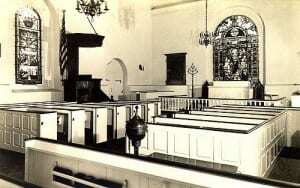 The family worshiped in the Lutheran faith at Holy Trinity Church, near Wilmington. 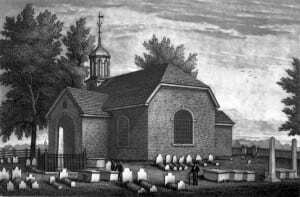 There, William married Magdalena Peterson from the settlement of Swedish families at Brandywine’s Hundred. The Olde Swede’s Church, as Holy Trinity came to be called, today still displays the fine woodworking handiwork of its early immigrants from Sweden. Boone would not need Johannes Vardeman to produce such exceptionally fine finish work, though. Boone only wanted the quick, easy, and utilitarian bench, table, or latch that Johannes Vardeman could produce with three strokes of his ax. Sometime after 1724, Vardeman’s parents migrated from Maryland to the area of Rockfish Gap in today’s Albemarle County, Virginia. At this time, the wood skills of the Vardeman family turned to the backwoods’ skill of building roads. If one was to move anywhere through such wilderness, the way had to be surveyed and made clear. As with every former push into the darkness of Virginia’s western wilderness, a road was required to be made. At some time during the early 1740s, Johannes and his father William were found in South Carolina. There, father and son became enchanted. The area was so attractive that William turned his ambition to settling there. Eventually, he accomplished the move. William Vardeman died in Dutch Fork of New Berry County, but not until March of 1789. Johannes found the enchantment of youth in Elizabeth Taylor Morgan. he married the young woman in South Carolina on September 7, 1744. His father and mother-in-law, Thomas Morgan and Hester Taylor, also were from Bedford County in Virginia. Johannes returned to Bedford County with his bride to start a prodigious family of fourteen children. The young couple associated themselves with the Baptists, who had begun to practice a faith more free of the disciplinary licensure required by Anglicans, or the rigors of his own family’s Lutheranism. One son, Jeremiah Vardeman, would become an eminent Baptist Divine, baptizing more than 6,000 converts in his lifetime, and founding the Missouri Baptist Convention. The French-Indian War was the probable meeting ground for Daniel Boone and the Vardeman family. In 1751, Daniel’s parents, Squire and Sarah Morgan Boone, departed Olney in Pennsylvania’s Berks County. Two years later they arrived at Dutchman’s Creek in the Yadkin Valley of North Carolina. In 1755, eighteen-year-old Boone was among hundreds recruited by British General Edward Braddock to repel the French at Fort Duquesne, today’s Pittsburg. Twenty-three-year -old George Washington was the British general’s aide-de-camp. Braddock’s campaign ended as a miserable failure and Boone drove his wagon back to the Yadkin Valley. A year later, Boone married Rebecca Ann Bryan at Bryan’s Settlement. The conflict was only the beginning of mounting difficulties with the Indians who perceived the conflicting forces taking their land. William Vardeman’s neighbor, Timothy Dalton, was summoned to testify about the rising difficulties. Before a Bedford County Justice of the Peace, Dalton testified on May 9, 1758, that three Indians had come to his home, followed by four white men. William Hall told Dalton that one of the Indians stole his horses and would not return them. John Wheeler attempted to retrieve one horse but was shot at three times. The Indians fled with the white men, and seven more, in pursuit. At the Staunton River, ten more Indians joined the fleeing band. They halted and prepared to confront their pursuers in battle. The rest of Dalton’s testimony was corroborated by the additional testimony of both William Vardeman Sr. and Johannes Vardeman’s brother, William Jr. The Vardeman men had arrived at the Staunton River. Hearing a big “War Halloo,” they crossed the river, where they found the Cherokee gathered around a fire. Vardeman’s greeting was returned by a single grunt, upon which the Cherokee began loading their rifles. The rifles of the Indians were primed to shoot. When a tomahawk struck a tree, demand was made promptly that the white men fight. Vardeman continued bowing, as the Cherokee approached while enclosing the white men within a tightening semi-circle. Young William Vardeman Jr. pointed out two Indians, now taking aim with their rifles. The white men began slow-stepping backward in a cautious retreat, never losing their face to the Cherokee, knowing well that to do so meant certain death. Suddenly, a volley of tomahawks was thrown. One of Vardeman’s group narrowly missed being struck. Another tomahawk could have struck Old Vardeman himself, but the old man “parried it with an elder stick he held in his hand.” Old man Vardeman was unarmed. Col. Richard Callaway 1717-1780. Killed at Fort Boonesborough. In the next few years, Johannes Vardeman’s father began disposing of his lands. He found a ready buyer in young James Callaway Jr., a nephew of Col. Richard Callaway, who also joined Boone to build his Transylvania Trail. Though born in Essex County, Richard Callaway lived in Bedford County, where he often served militia campaigns and was a Justice of the Peace. John Mack Faragher, in his biography of Boone, describes Callaway as “officious, bad tempered, and a bit of a blue blood.” The Kentucky frontier did not abide the hauteur of a blue-blood temperament. Callaway was slain at Boonesborough. His body was scalped, mutilated, and rolled into a mud hole. A year before Boone commenced blazing the Transylvania Trail; Lord Dunmore’s War brought Virginians into conflict with the Indians again, this time, with the Shawnee. William Jr., son of “Old” William Vardeman, as the military index states, provided supplies and services for the expedition. In the campaign of 1774, William also served in Capt. Walter Crockett’s militia. At Sycamore Shoals on the Watauga River in March of 1775, the Cherokee deeded to William Henderson of the Louisa Company, now reformed as the Transylvania Company, the land below the Kentucky River and above the Cumberland River. In June of the previous year, as much as 4,000 acres already had been claimed by Boone in the name of James Hickman. Seven years earlier, in the Treaty of Fort Stanwyx, the Iroquois had ceded the land below the Ohio River attaching to these rivers and lands. Opposition attacks by the Shawnee led to Lord Dunmore’s War, resulting in the Shawnee relinquishing their claims, but not necessarily giving up the fight. By now, Johannes Vardeman was in his mid-fifties. His wife was pregnant with his fourteenth child. 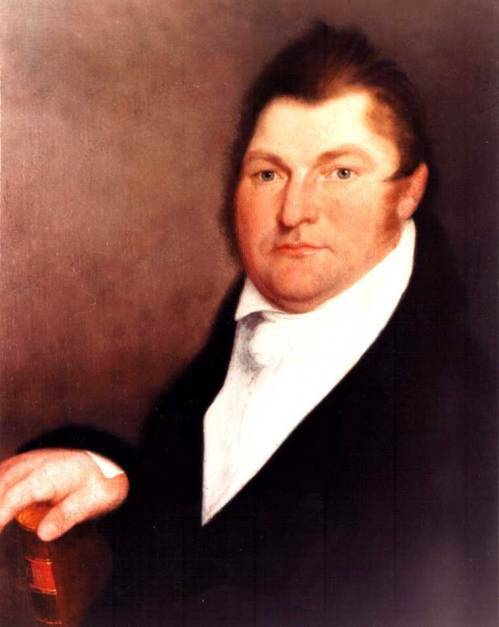 Lyman Draper reported Johannes “was too old to take an active part in the wars – but stood guard – his three sons, Wm., Amaziah & Morgan…all were frequently engaged in the Indian wars – his eldest son Wm. was at the Point [Pleasant] Battle…” Despite advancing age, Johannes Vardeman still was willing to risk his life to join Daniel Boone’s expeditionary settlement of the Shawnee lands inside the frontier of the Kentucky. As March turned into April of 1775, Boone assembled his expedition on the Holsten River. 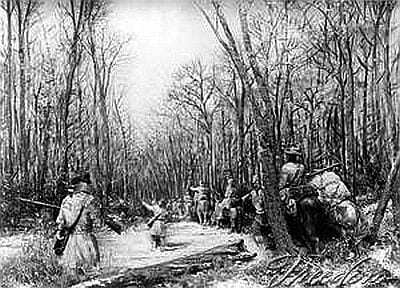 A footpath, no wider than six to eight feet, with much overgrowth that had to be cleared, directed the labors of Boone and his axemen, so Boone’s families could follow through the Cumberland Gap. Their destination was Otter Creek. Johannes Vardeman remained two years in the Kentucky with Boone, as Boone had hoped when he hired Vard. 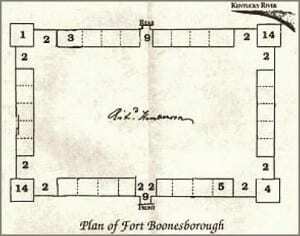 Together, they developed Boonesborough Fort. His last child, Jeremiah Vardeman, was born at New River two months after he had left with Boone. Upon his return to New River, Johannes Vardeman removed his family further south to the Cinch River, to occupy Shadrach White’s fort at Maiden Spring Fork. In the autumn of 1779, Johannes Vardeman removed his family entirely to make a permanent settlement at Walnut Flats near Crab Orchard in Kentucky. His neighbor was the old Indian fighter, William Whitley. Boone’s bet on Vard ther ax man turned out more sagacious than expected. 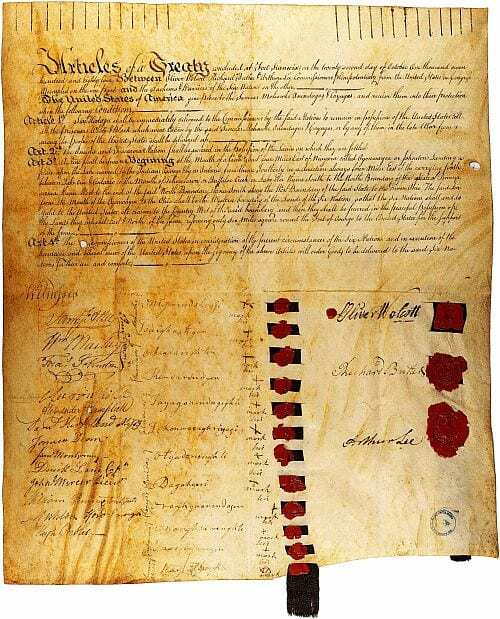 In December of 1779, the Virginia Assembly invalidated Transylvania’s claim for its proprietary colony. 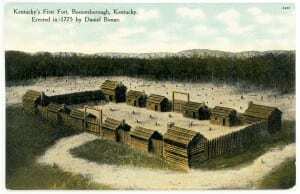 By his very act of settlement, Daniel Boone could claim Boonesborough as his own. Within no time, a flood of Baptist traveling churches fled Virginia and the religious persecutions of the Anglicans in Virginia to saturate the new frontier. Among them was John M. James, who brought his three-year-old daughter Betsy. A decade later, Johannes Vardeman’s son Jeremiah would elope with Betsy. Within a decade, Johannes’ neighbor, John M. James, a young waggoner like Boone in the Revolution, would be made a militia Captain to protect the Wilderness Trail. Capt. James ushered migrants safely into Kentucky. Vardeman and Boone’s footpath became well-worn with the ruts of wagon wheels. The bundled layers of buckskin that were the uniform of Boone and Vardeman gave way to the tailored finery of travelers with means. John Bradford’s Kentucky Gazette advertised, “As it is very dangerous on account of Indians, it is hoped each person will go well armed.” The ax of Johannes Vardeman was replaced by the Kentucky long rifle. When Rev. Jeremiah Vardeman, the son of Vard the ax man, eloped with Betsy James, the daughter of John M. James, the couple became the progenitors of an impressive list of other historical figures. Their son Rev. William Henry Vardeman continued to pastor the David’s Fork Meeting House, founded by his father. Their daughter Sarah Morgan Vardeman married Rev. James Nall Griffin, a grandson of John M. James. Rev. Griffin pastored the West Cuivre Baptist Church in Audrain County, Missouri. Another daughter Eliza Vardeman married Lewellyn Porter, a Judge in Rall County, Missouri. Among their grandchildren, James Vardeman Matson became a Colonel in the Confederate Army. Their daughter Sarah Morgan Vardeman married Rev. James Nall Griffin, a grandson of John M. James. Rev. Griffin pastored the West Cuivre Baptist Church in Audrain County, Missouri. Daughter Eliza Vardeman married Lewellyn Porter, a Judge in Rall County, Missouri. Among their grandchildren, James Vardeman Matson became a Colonel in the Confederate Army. 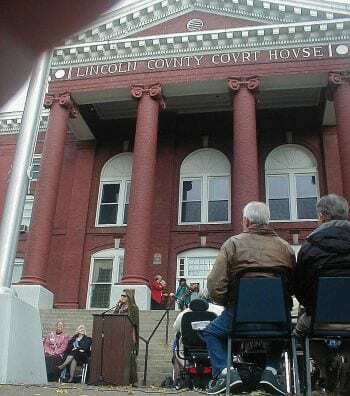 Daughter Eliza Vardeman married Lewellyn Porter, a Judge in Ralls County, Missouri. Among their grandchildren, James Vardeman Matson became a Colonel in the Confederate Army. The 4th great-grandchild of theirs is J. Danforth Quayle, elected Vice-President of the United States, and his son Benjamin Eugene Quayle, elected to the U.S. Congress. Daniel Boone entered the James family when Estella Frances McGowan, Boone’s 3rd great-granddaughter, married Jesse Edwards James Jr., the son of Jesse Woodson James. 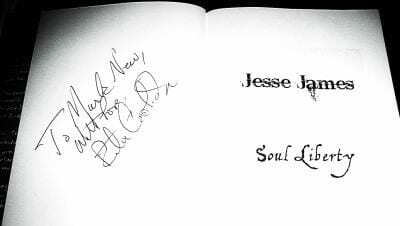 Their marriage makes all future descendants of Jesse James also descendants of Daniel Boone. Bedford County, VA, Land Records, C Grant Book D, pp. 223-224. Pawlett, Nathaniel Mason, Goochland County Road Orders 1728-1744. Charlottesville, VA: Virginia Highway & Transportation Research Council, 1975. A Calendar of Delaware Wills, New Castle County, 1682-1900, abstracted & compiled by the Historical Research Committee of the Colonial Dames of Delaware, Frederick H. Hitchcock, Publisher, New York. See also: Garrett, Carol J. New Castle Co. Delaware Land Records 1728-1738. Lunenburg Co., VA, Order Book 1, p. 53. See also: Lunenburg Co., VA, Court Orders, 1746-1748, T.L.C. Genealogy, 1990, p. 25. Timothy Dalton is a progenitor of the Dalton Gang. Paulette, Road Orders, 3 April 1751 Old Style, P. 394. April 1751 April Court 1751, Lunenburg Co.,VA. Spencer’s History of Kentucky Baptists. See also: Lyman Copeland Draper Manuscripts, Kentucky Papers, Reel 12 C, pages 63-?, Interview with Morgan Vardeman, son of John Vardeman Jr., conducted May 25-26th 1868, probably in Lincoln County, Kentucky. Official Correspondence and Military Letters of Virginia Colony Lt. Governor Robert Dinwiddie 1754 – 1756, University of Delaware, Special Collections, Manuscript Collection Number 341. See also: SC Dept. of Archives and History, Columbia, South Carolina, Colonial Records of South Carolina, Documents relating to Indian Affairs, 1754-1765, His Majesty’s Council “Indian Books” (S171001) Vol. 6, 1757-1760, pp. 153-162, pp. 463-465. See also: History of Pittsylvania County Virginia, Maud Carter Clement, 1981, page 78-91, Baltimore Regional Publishing Company. Also: George Washington Papers, Library of Congress, 1741-1799: Series 4. General Correspondence. 1697-1799. Also: Bedford County, Virginia, Settlers, May 8, 1758, “Thos. 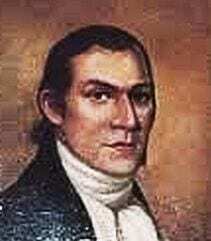 Morgan Acct.” Timothy Dalton, May 9, 1758, Affidavit on Indian Raid. Bedford County, VA, Deed Book B-2, 1761 – 1766, p. 249. Bedford County., VA, Order Book 3, p. 185, 340. Military Records, Virginia, 1774, Library of Virginia. Source Record #001230264. Lyman Copeland Draper Manuscripts, Kentucky Papers, Reel 12 C, pages 62-66, Interview with Morgan Vardeman, son of John Vardeman Jr., conducted May 25-26th 1868. Peck, Rev. John Mason, D. D. Annals of the American Pulpit, 1860. George Rogers Clark and His Men Military Records, 1778-1784, compiled by Margery H. Harding, The Kentucky Historical Society, Frankfort, KY., p. 88. Draper, Kentucky Papers, p. 36, 9cc36. Kentucky Gazette, November 1, 1788. 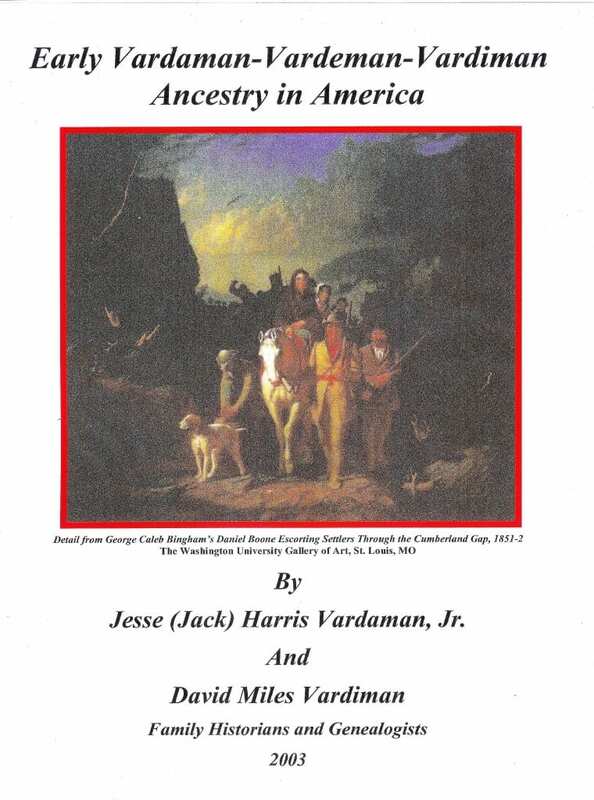 An excellent account of the historic Vardeman family is Early Vardeman Ancestry in America by Jesse “Jack” Harris Vardeman Jr. and David M. Vardeman. It is available for free download with an accompanying reference directory . 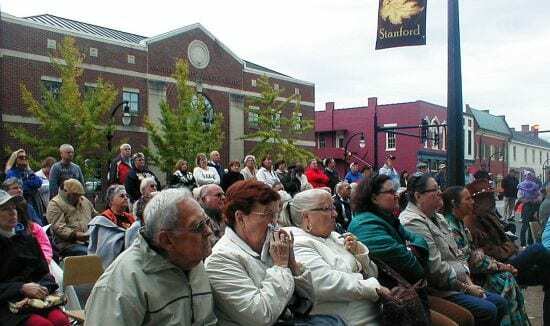 On this chilly, drizzly morning of October 19, 2013, I was pleased to be among the two hundred or more. 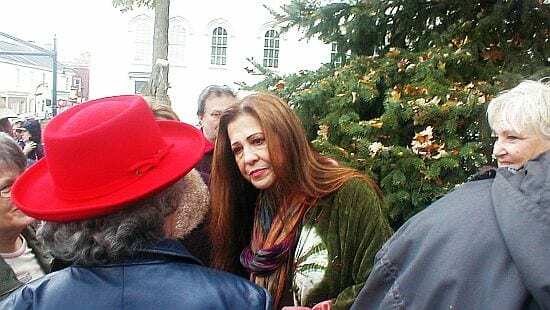 We warmly welcomed Rita Coolidge to Stanford, Kentucky. Here she dedicated an historical highway marker to the memory of her Cherokee ancestry. 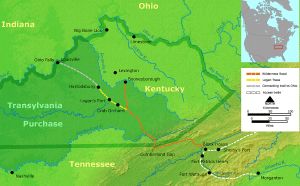 The Cherokee were among the earliest people to occupy this part of Kentucky together with the Shawnee. Coolidge recounted stories told to her by her Kentucky grandparents. In school, she recounted being taught how America was founded by Columbus. At home, she was taught a longer history of her own descent from Native-American people. They were present in America before Columbus. The two histories she learned couldn’t be more different. Her parents at home in Tennessee told her much more other kids never learned in school. Rita sang us a Cherokee song she learned. Her ancestors chanted the song as they walked the Trail of Tears to their exile in distant Oklahoma. And guess whose camera batteries died right when it was time to have his picture taken with the beloved singer? I’ll never make that mistake again. Mark C. New was unable to attend with me. He is a funeral director in Burkesville, Kentucky, and had two burial services on the day of the dedication. Among the family, Mark is best known for the annual family reunion he holds at his family’s homestead in Science Hill, Kentucky, every year on Memorial Day. The hayride to the nearby cemetery is a big hit with the youngsters who get to meet the ancestors in the cemetery about whom all the grown-ups were heard talking.